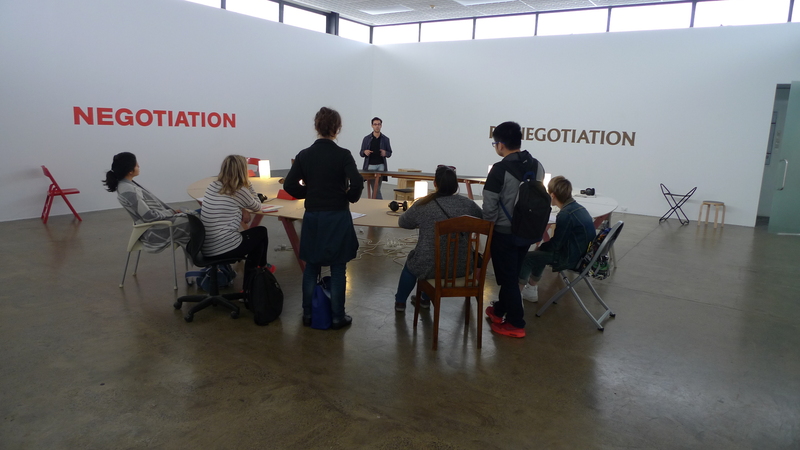 The solo exhibition RE-NEGOTIATION was structured as a series of open conversations, past and present, around exhibition making, art institutions and curating. 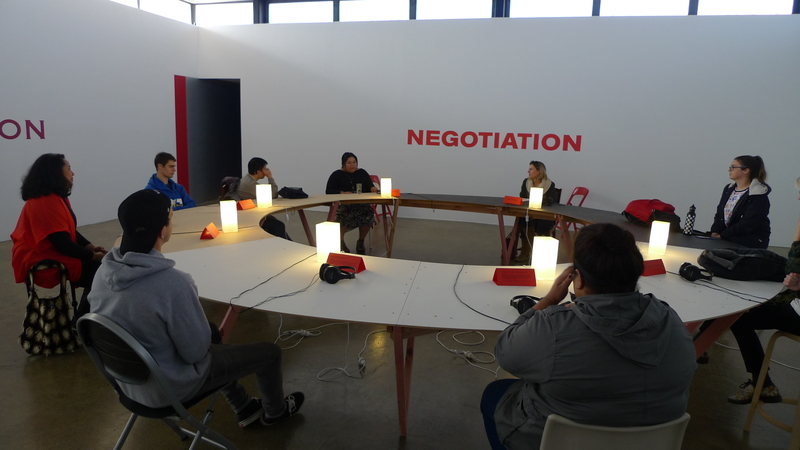 The project reconsidered the act of negotiation as a political tool. 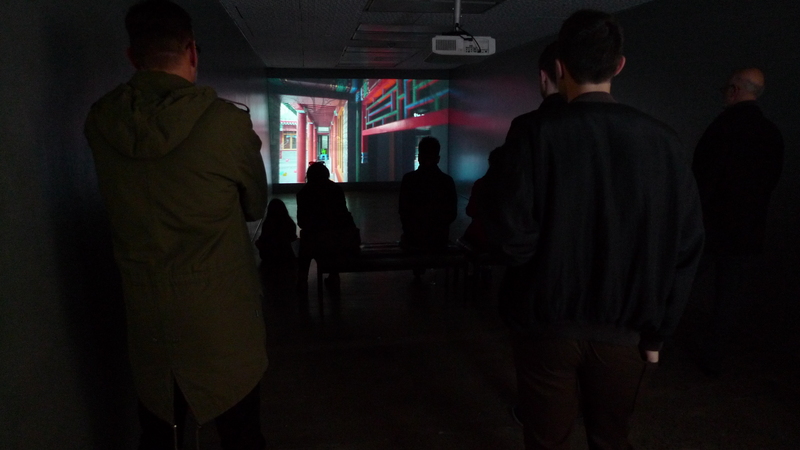 The exhibition acts as a potentially critical space of exchange with other authors, producers, and visitors. 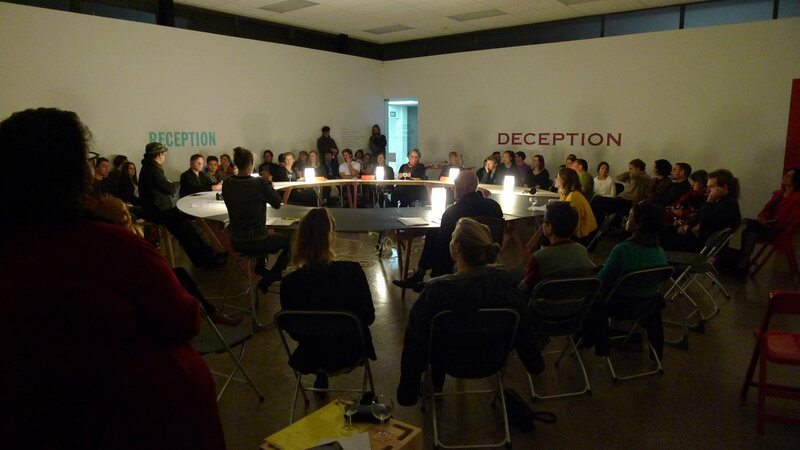 The programme included a series of public events engaging a diverse network of professionals who reflected on the four stages of its production. 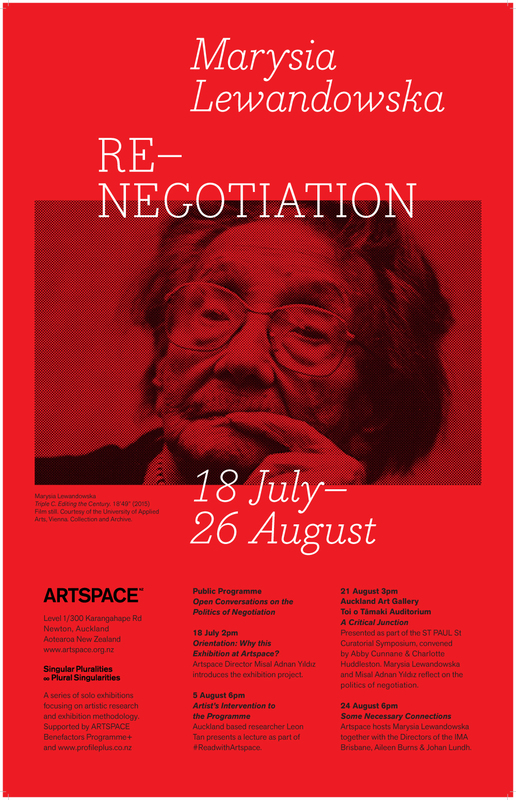 The re-definition of the exhibition space begins with the installation of NEGOTIATION, RE-NEGOTIATION, RECEPTION, DECEPTION, a series of signs as conceptual points of reference. 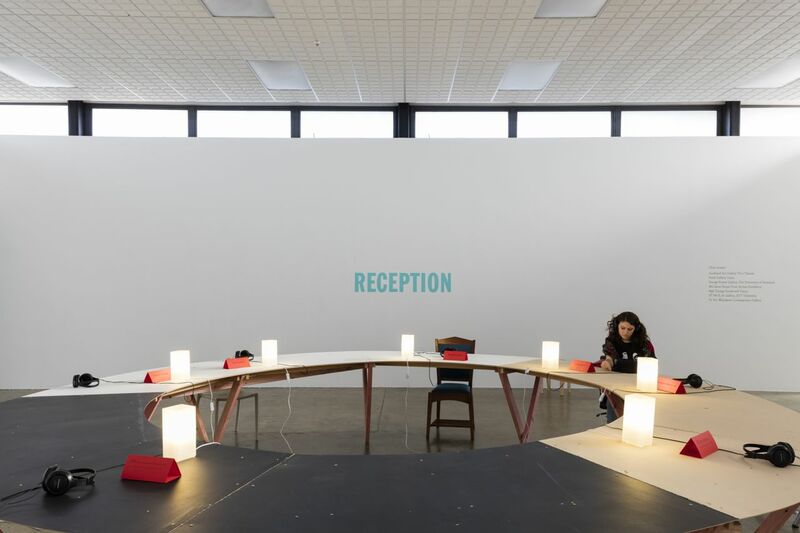 Central to the installation is the Women’s Audio Archive (1984-1990) project, presenting selected recordings, which were previously included by curator Anna Colin in the Partial Disclosure (2008) event organised by Gasworks in London. Women’s Audio Archive began as a series of recordings, made by the artist after leaving Poland in 1984, and has grown out of an interest in language as a site of cultural displacement. These recordings document public events, seminars, talks, conferences, and private conversations as valuable records of a particular time in discourse, beginning around 1983 until 1990. The period of dominated by academics and artists close to October magazine and by feminist gatherings. The project includes the participation of Judy Chicago, Mary Kelly, Barbara Kruger, Yvonne Rainer, Jo Spence, Nancy Spero, Jane Weinstock, Nan Goldin, Susan Hiller and many others. The recordings also document talks and conferences with Benjamin Buchloh, Victor Burgin, John Cage, Alan Kaprow, Tom Lawson, Les Levine, Peter Wollen and many others. A film Triple C. Editing the Century (2015) occupies a specially constructed sliver-lined room. It proposes a meditation on the state of the commons, exploring the values attached to the communal and to the public. The narrative departs from the legacy of the Viennese architect Margarete Schütte-Lihotzky (1897-2000), whose designs, writings, travels and activism bear many of the contradictions of the 20th century. We learn from Di Zhang, a young architect in Beijing, how remote the idealism of socially responsible architecture and the system, which produced it, is to the people of her generation. She suggests it is the ‘communism of commerce’ that is looming large in the experience of China today. Commissioned by curator Maria Lind, the film has been made for the very first edition of the Vienna Biennale at MAK. The soundtrack by Eileen Simpson and Ben White (Open Music Archive) was assembled from 20th century music, the copyright of which has expired and can be shared as part of the public realm.